Oh Shiitake! I forgot your birthday! 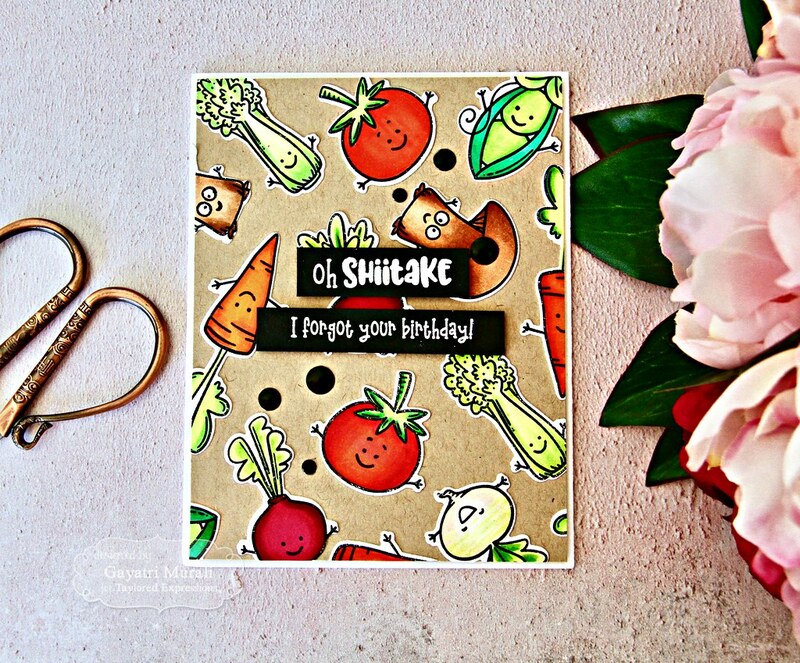 Sharing a punny card with you using Taylored Expressions newly released products. 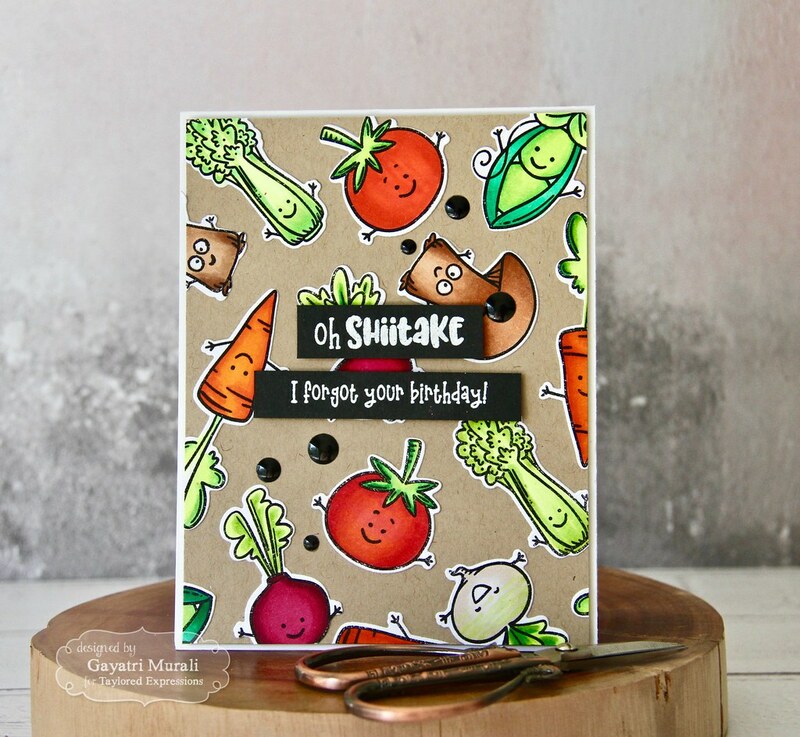 I used Turnip the Beet stamp set and coordinating dies to make this card. 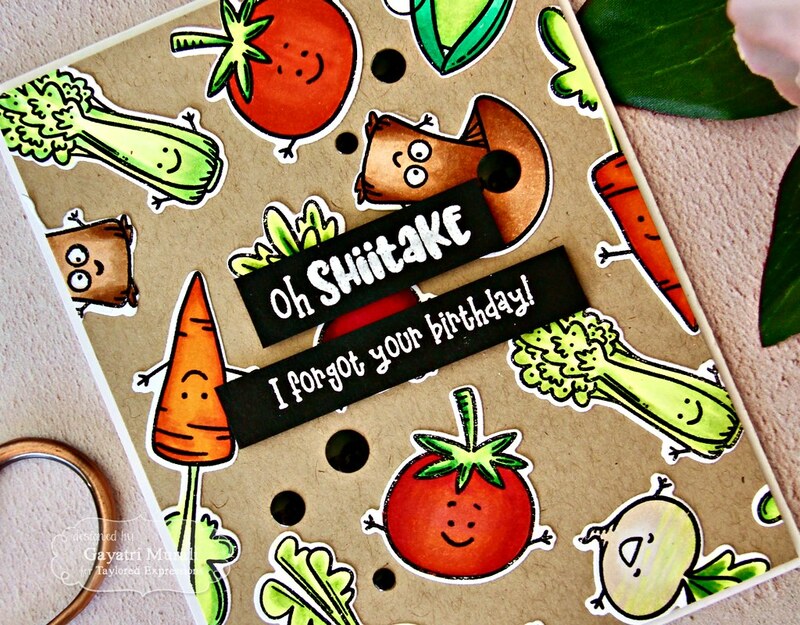 I stamped all the veggie images twice from Turnip the Beet stamp set on Sugar Cube cardstock using Oreo hybrid ink. Then coloured the images using copic markers. The using the coordianting die, die cut all the images out. On a toffee card panel, I adhered all the die cut images randomly covering all the panel. I then trimmed the panel slightly smaller than the card front. I added foam adhesives and adhered the panel on the sugar Cube card base. 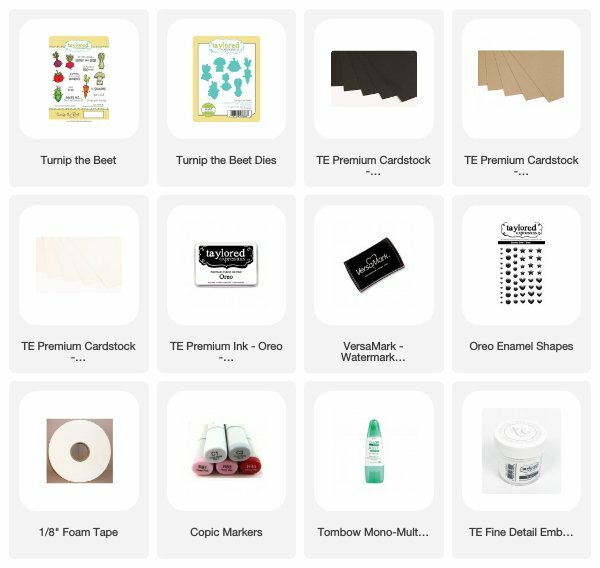 The sentiment from the stamp set is white heat embossed on strips of Oreo cardstock using TE white detailed embossing powder. Adhered these strips on the centre of the panel. To tie in the black colour on the card, I added a few TE Oreo enamel shapes. I really love the smilie faces on the veggies. So cute. 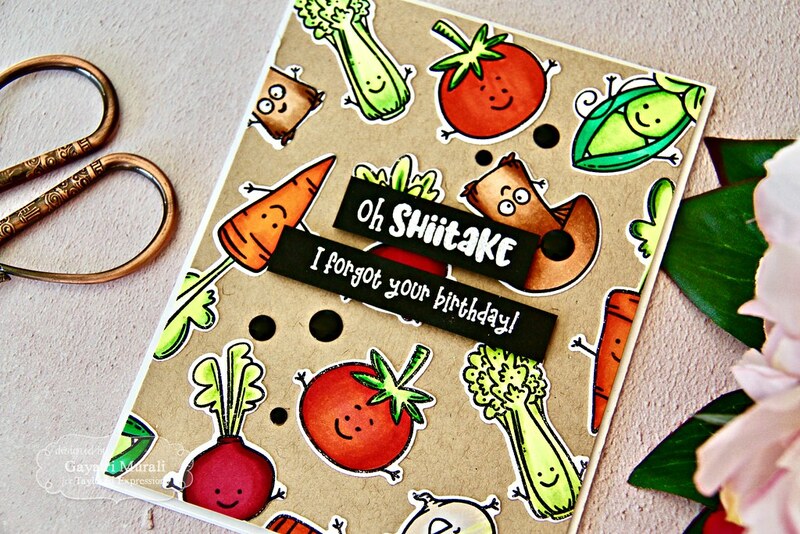 The punny sentiments in the stamp set is awesome and funny. Check it out at TE store. All supplies used to make this card are listed below. Thanks so much for stopping by today. Enjoy the rest of the day! Oh, this is too cute!! Love it! so adorable! love your coloring!